As the sun set over the eastern hills of Southern California’s Silverado Canyon on Fri., July 8, campers at the Do Lab’s second annual Woogie Weekend took over Oak Canyon Park for three days of musical bliss. The intimate gathering celebrated music, art, and self-expression, and featured a soundtrack of phenomenal house and techno provided by a lineup of DJs from every corner of the world. 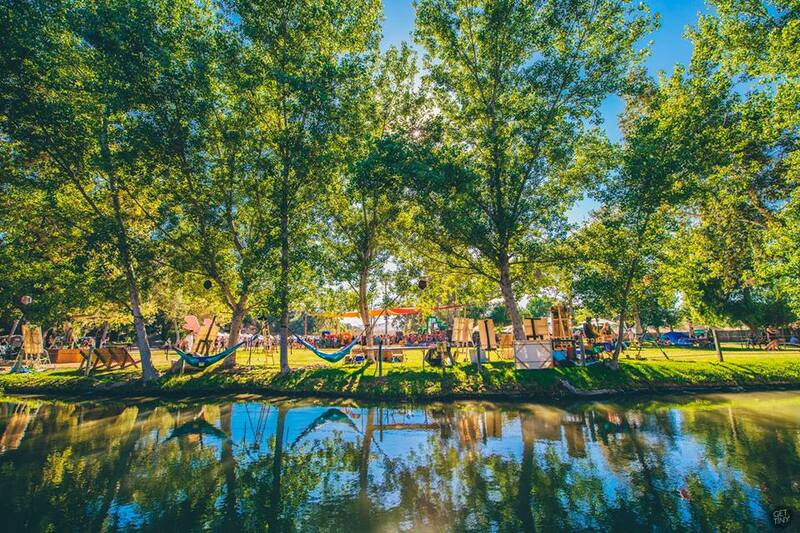 Woogie Weekend is a spin-off of the Do Lab’s beloved Memorial Day Weekend festival, Lightning in a Bottle (LIB). 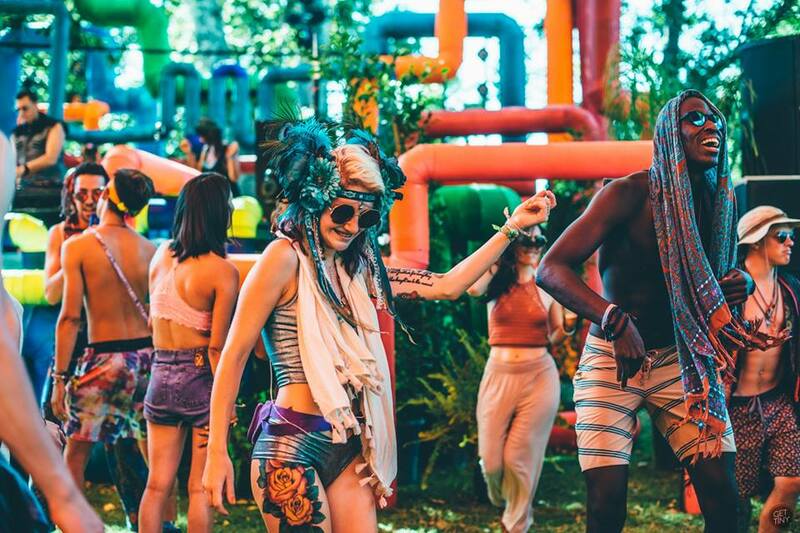 Inspired by The Woogie, a fan-favorite stage at LIB, Woogie Weekend brings all the architectural magic, technicolor visuals, and the funky, groovy vibes one expects from a Do Lab production. Approximately 4,000 weekend warriors, decorated in glitter, neon paint, feathers, top hats, platform boots and sequins enjoyed a weekend of weather made for festivaling. Clear sunny skies and a light California breeze were a much welcome change from the pouring rain and mud puddles of last year’s Woogie Weekend. Festival-goers brought their prop A-game to the grounds. Humorous totems bopped throughout the crowds, mystical unicorns, swans and ocean creatures took Slip ‘N Sliders on a wet adventure, and there was no shortage of creative, eye-catching and glimmering attendee costumes. Afternoon water balloon fights brought out the kid in everyone and kept partiers cool as they soaked in what was left of the day’s sun. Woogie Weekend shined brightest at night as the sun went down and the lights lit up. The Kaleidoscope stage, in particular, was an awe-inspiring sight with its neon, interweaving pipes encompassing the DJ. High above the booth, a single disco ball created a mesmerizing magical scene. The atmosphere of the Kaleidoscope was especially brought to life during Claptone’s sunset performance on day two. His infectious house beats and catchy track list pulled at the heart strings of revelers and created one of the weekend’s best dance parties. The Hive stage took a simpler approach in regards to lighting production, however, the artists who took to the beehive-inspired stage were a major musical highlight of the weekend. Sunday featured a stacked lineup with Desert Heart’s Lee Reynolds, Roman Flügel and Totally Enormous Extinct Dinosaurs (TEED) on the bill. The party didn’t stop as the music on the two main stages came to a nightly close. 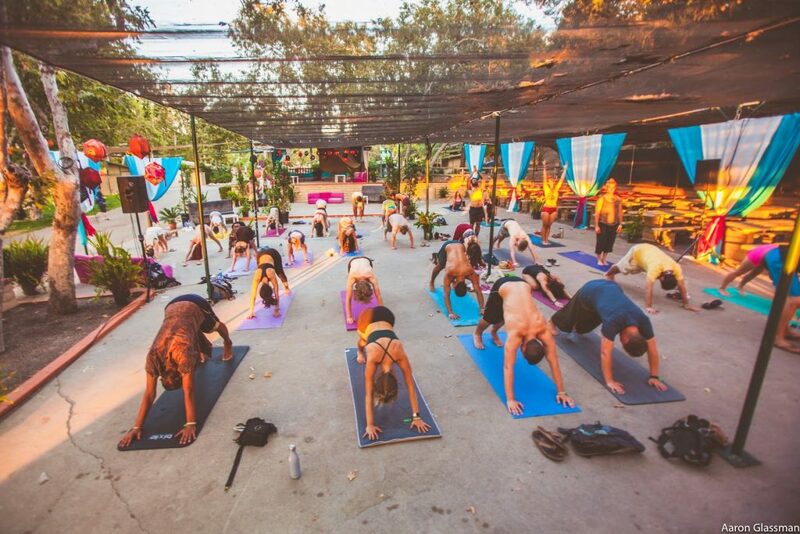 Woogie Weekend kept the energy going with after hours parties on Friday and Saturday night at the Dusk and Dawn stages. 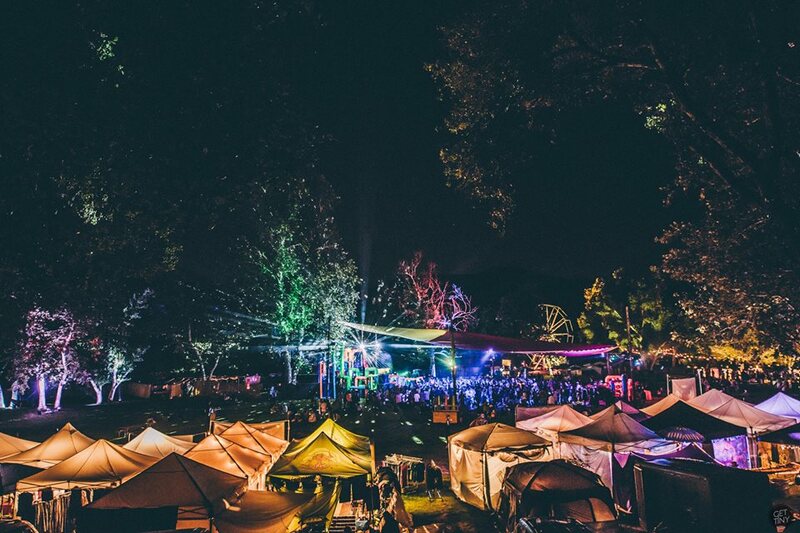 Los Angeles-based Subtract Music hosted its after party at the Dusk stage on Friday night with Tara Brooks, Pezzner, Davi and Subtract Founder Anton Tumas leading Woogie night owls on a journey into the wee hours of the morning. Other after hours highlights included performances from Patricio and Lum, as well as a drum and bass spotlight at the Dawn stage on Saturday. The Do Lab does a fantastic job at creating a one-of-a-kind festival environment. 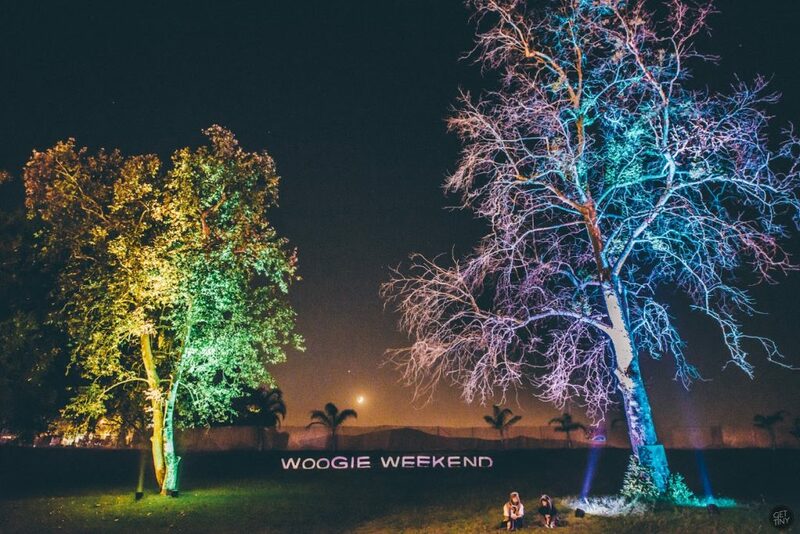 From the carefully curated music to the art walks, from the morning yoga sessions to chill zones involving a motorized plush flamingo and the FUNN Machine, complete with blowing bubbles and dicso balls, Woogie Weekend is nothing short of spectacular. This small gathering of like-minded individuals coming together through music and art is definitely a festival to be experienced. 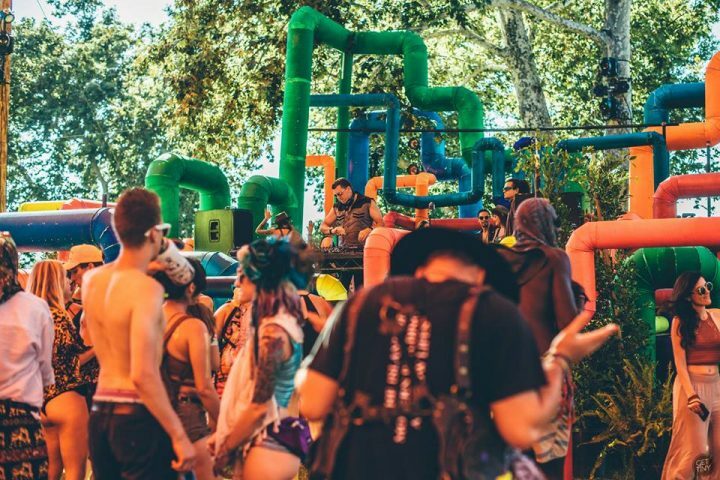 The next Do Lab adventure at Oak Canyon Park is the return of Dirtybird Campout on Oct. 7-9, 2016 featuring a smorgasbord of your favorite Dirtybird Records players. Tickets for the Campout are on sale now. Ashley is a contributor to the EDMCalendar.com family. Based in the thriving city of Las Vegas, she’s always had a knack for live music and has been to countless festivals throughout the United States. An avid fan of the house and techno scenes, she found her passion for dance music in the borderland of El Paso, Tex., back in 2007 and has been chasing adventures on the dance floor ever since. Email her at atrevizomc@gmail.com or connect with her on Twitter and Instagram @billababs.